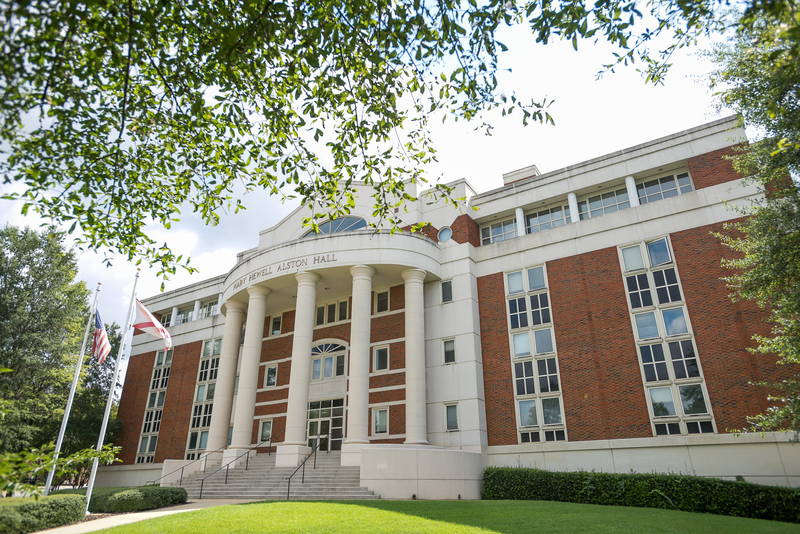 TUSCALOOSA, Ala. — Baldwin County’s rapid growth revealed in recent U.S. Census estimates is attributed to the quality of life it offers, according to a University of Alabama Center for Business and Economic Research representative. Baldwin County’s population grew more than any other Alabama county last year with an increase of 5,119 residents, according to the U.S. Census Bureau’s July 1, 2017, population estimates released recently. Viktoria Riiman, socioeconomic analyst for CBER, said most of Baldwin County’s population growth is due to people moving into the area, and that Baldwin County is leading the state in net migration, which is the number of residents moving into the area minus the number of residents leaving the area. 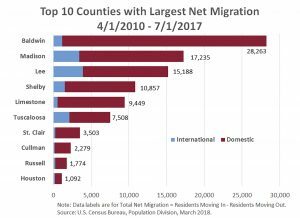 The county gained a net of 28,263 people from migration since the 2010 Census, and 96 percent of them moved domestically from other U.S. areas. 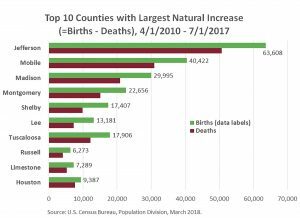 Jefferson County leads in another component of population growth: natural increase, which is the number of deaths subtracted from the number of births. The area had about 63,600 births and 56,700 deaths, gaining a net of 12,936 residents since 2010 Census. Seven Alabama counties were both among the top 10 counties with largest net migration and the top 10 with largest natural increase in the state. These include Huntsville metro area’s Madison and Limestone counties; Auburn University’s Lee County; The University of Alabama’s Tuscaloosa County; Birmingham-Hoover metro’s Shelby County; Columbus, Georgia-Alabama metro’s Russell; and Dothan metro area’s Houston County. More details on Alabama’s population are available in American FactFinder. Interactive maps are at Tableau Public. CBER is a member of the U.S. Census Bureau Federal-State Co-operative for Population Estimates and Projections and participates in reviewing the estimates and supplying vital statistics and group quarter data that support calculation of estimates. The Center for Business and Economic Research in the Culverhouse College of Commerce at The University of Alabama was created in 1930, and since that time has engaged in research programs to promote economic development in the state and provide economic and demographic forecasting, data, and analysis.